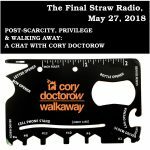 This week on The Final Straw, we’ll be airing two interviews. 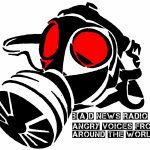 In the first, Bursts spoke with author and activist Shane Burley about the state of street level fascism and anti-fascism in the U.S. Then about 45 minutes into the episode, you’ll hear Bursts speaking with two members of the Asheville branch of the Industrial Workers of the World, or IWW. Shane is the author of numerous articles on the subject as well as a the 2017 book from AK Press, “Fascism Today: What It Is And How To End It.” The conversation ranges from talking about specific groups like Atomwaffen, The Proud Boys, Patriot Prayer and the Traditionalist Workers Party (TWP), to the Unite The Right 2 (UTR2) having been announced by Jason Kessler for either D.C. or Charlottesville, VA.
Shane also talks about essentialism in fascism and the creeping relationship between “identitarian” patriarchs and the trans-misogyny of TERFs (Trans Exclusionary Radical Feminists) in Deep Green Resistance, such as Lierre Kieth and Derrick Jensen. The book mentioned by Bursts about essentialism, fascism and anarchism can be found in audio format on R.A.D., another member of the CZN. The original text can also be found on their tumblr. 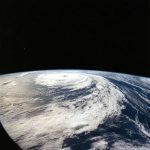 Shane Burley is touring on the east coast, currently, and can be seen tonight (June 17th) at The Wooden Shoe in Philadelphia and on Tuesday the 19th at Potter’s House in Washington, D.C. 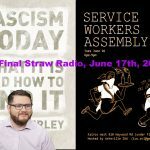 The wobblies talk about the upcoming Service Workers Assembly they have planned for Tuesday, June 26th from 6-9pm at Kairos West, under Firestorm in West Asheville. Here’s a link to their fedbook. If you are a service worker in the Asheville area and want to chat with other folks from the industries about how your conditions could improve, come on by. No bosses, snitches or scabs, please. There’s no Sean Swain again this week, hopefully we’ll get the crossed wires fixed soon. 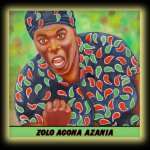 Debbie Africa of MOVE9 released! In this run-up week to the Another Carolina Anarchist Bookfair (ACAB2018), there’ll be a game of punk jeopardy on Thursday the 21st at the Lazy Diamond starting at 9pm. The venue is a bar, so it’s 21 and up only. Proceeds from the benefit will go to the costs associated with the Charlotte Uprising in 2016, in particular to Glo Merriweather’s and Rayquan Borum‘s legal defense funds. On Friday, feel free to stop by the welcome table at Firestorm for an intro to the range of events over the weekend. Check out the calendar of events, including the schedule for the workshops and more! 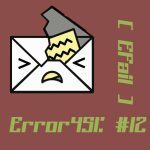 Micah is kind enough in this conversation to break down the Efail scandal that rocked security-minded folks in mid-May. A weakness in the way that many email clients handled PGP & S/MIME came to light months after it was discovered by a team of security investigators. Micah explains how this encryption works, what was found out, safer approaches to encrypted messaging. We also talk a little about threat modeling and quantum computing. Send encrypted text messages to Micah using Signal Messenger at (415) 964-1601. Here’s a link to a cool article Micah published at The Intercept about a method of cheaply creating a second signal account, so you can give out a signal # without giving away your personal phone number. featured track: “I Did It For The Kids But They’re Gonna PAY” by Spook Rat. Well, now the second edition of the game has launched a kickstarter to pay for the new edition. This new edition includes streamlined game play, new pieces and new scenarios in order to improve the initial game. For the hour, TL & I talk about how the board game was developed, what study of real-world did to influence the game’s development, TL’s thoughts on how play can strengthen strategic thought, cultural means of spreading liberatory imagination with story-telling, and cooperation and more. 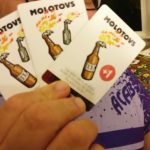 To jump in and get a physical, printed copy of the 2nd edition of Bloc by Bloc, search kickstarter and the title of the game. If you have the 1st edition and want the streamlined update, also check out the kickstarter for ways to update. If you want a free version of the game for you to print out by yourself and play for the cost of printing with your friends, you can download all of the elements. 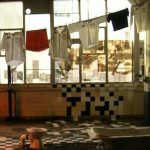 TL mentions that Out Of Order games is looking for translation of the game into other, non-English languages, seeking a degree of fluency in game terminology and the languages in question. They are also always seeking review and design inputs. You can email the Out of Order crew here. 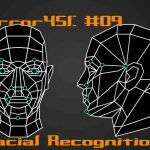 This week’s installment of #error451 podcast, Bursts and William Budington speak about facial recognition technology. We chat about how different methods are employed, scanning of social media by police and security forces, different methods used to avoid it such as camouflage, lights, makeup and masks, the Google Arts & Culture app comparing people’s selfies to the contents of art museums and more.